Treat yourself to an Arctic adventure! 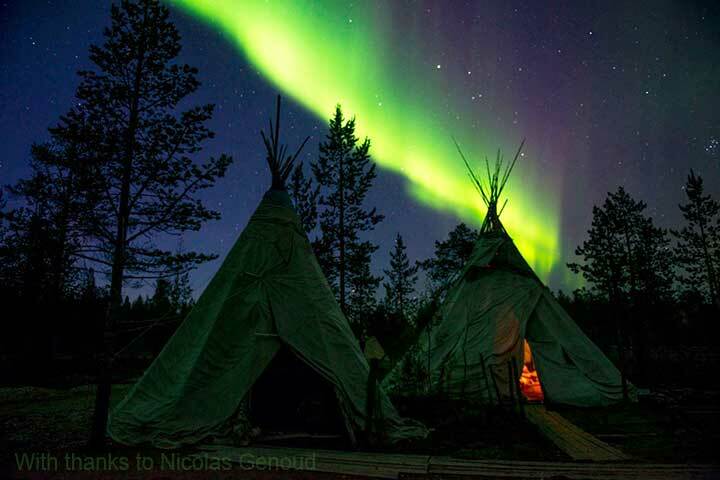 Come over to the 69th parallel 5 days full of winter adventures and Aurora Borealis! 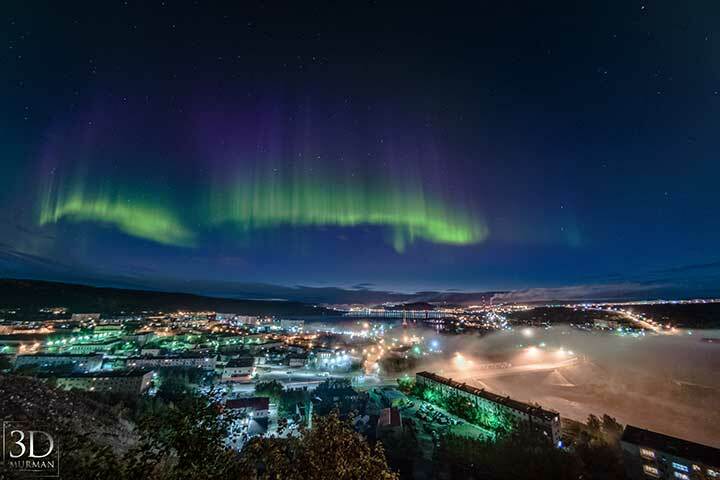 This tour is for Aurora Borealis Lovers! 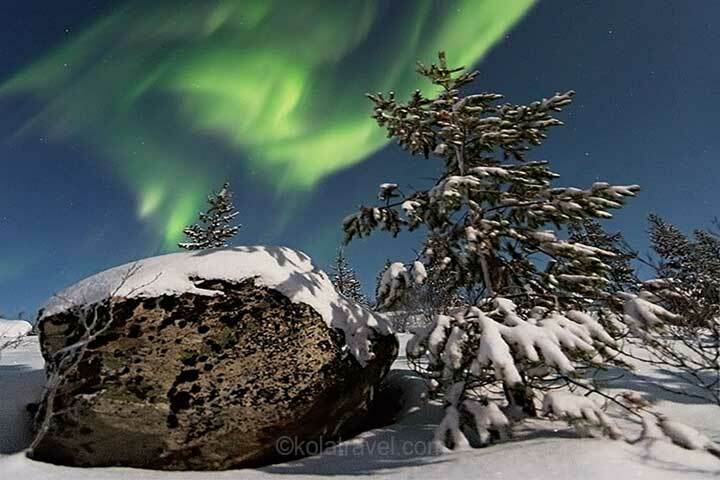 We forecast Aurora and weather by satelites Chance for catching Aurora Borealis is 90% With English speaking guide Guaranteed start on 25-29.12.2018, 05-09.01.2019, 09-13.02.2019, 09-13.03.2019, 23-27.03.2019. Reserve in time, places are limited! All you need is ..... Snow Visit Snow Village! 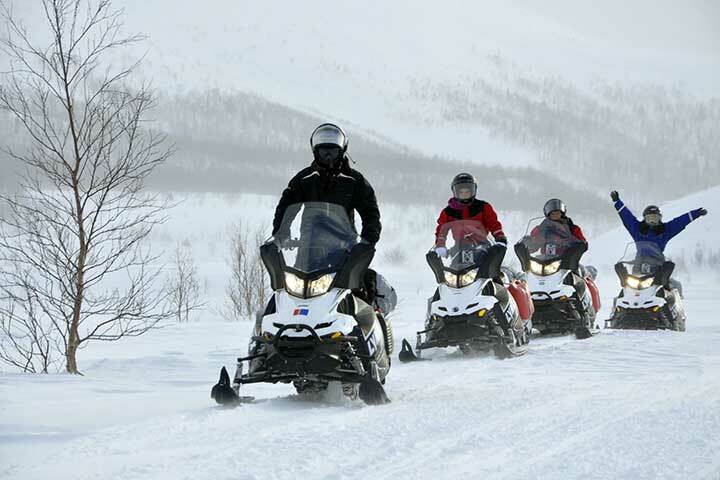 includes a 4 hour snowmobile safari in Khibiny mountains the highest mountains of Lapland. Watch nature's own theatre! 4 nights chance to see it. 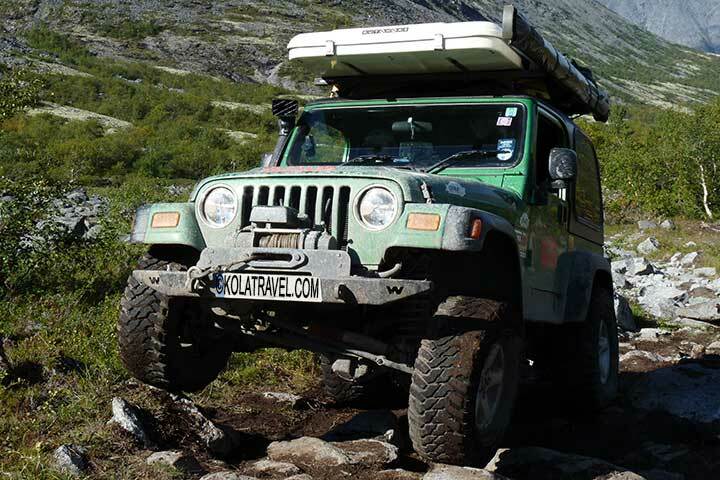 includes a trip to a Saami Settlement full excursion, feeding reindeers including traditional Saami meal. Meet the Saami of Russian Lapland Take a ride on a reindeer sledge make selfies with reindeers! A moment with the Saami Saami games snow banana rides. We can expand this tour with airport transfers, accommodations and excursions in Saint Petersburg and Moscow. December behind the Arctic Circle doesn’t have any sunshine. The Sun starts to be visible in the second half of January. At the night sky Aurora Borealis appears above snow fluffy blankets covering the Northern Land. The cities are illuminated by thousand lights as if it is constant celebration. 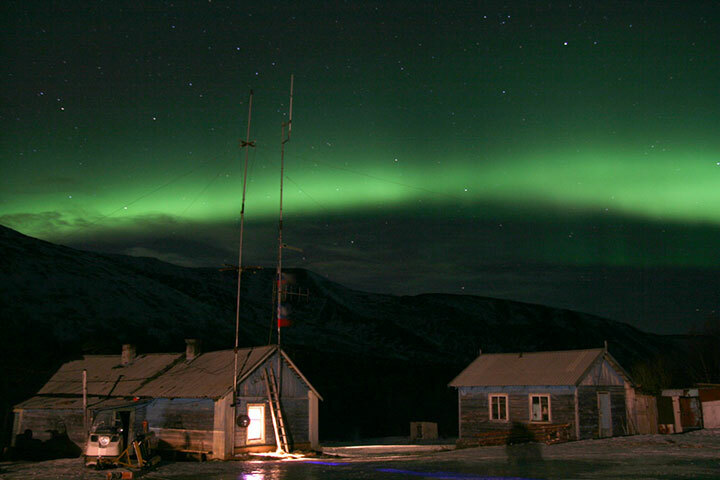 For more detailed info about, how we forecast Aurora Borealis and how it works, we refer to our Aurora Borealis page. 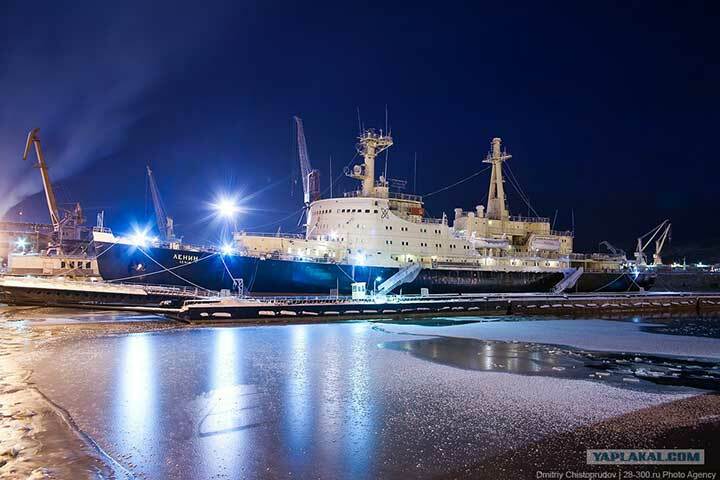 Murmansk city bus excursion (4 hours) to the main points of interests including an excursion on Worlds First Nuclear Icebreaker named "Lenin". A Snowmobile safari in Khibiny Mountains (4 hours). 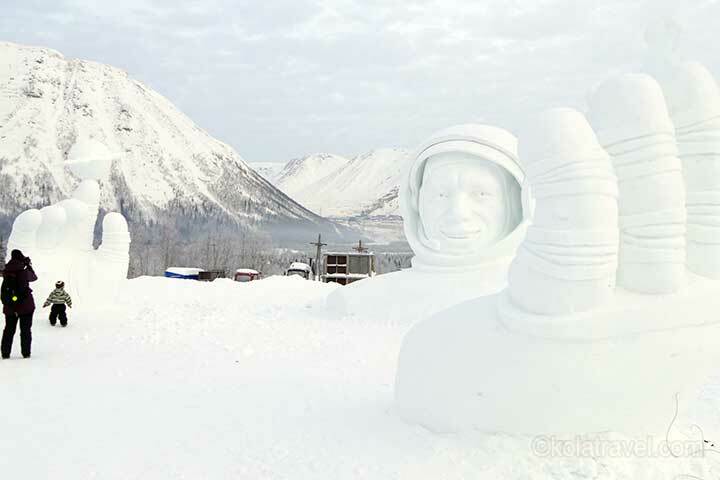 Possibilty to visit Snow Village. 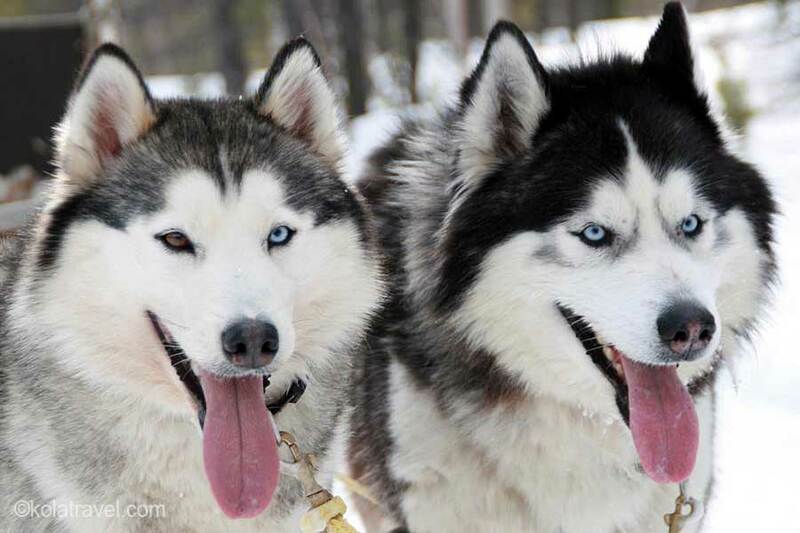 Visit a husky farm including a 3,5 hour excursion, a husky sledge ride and lunch. 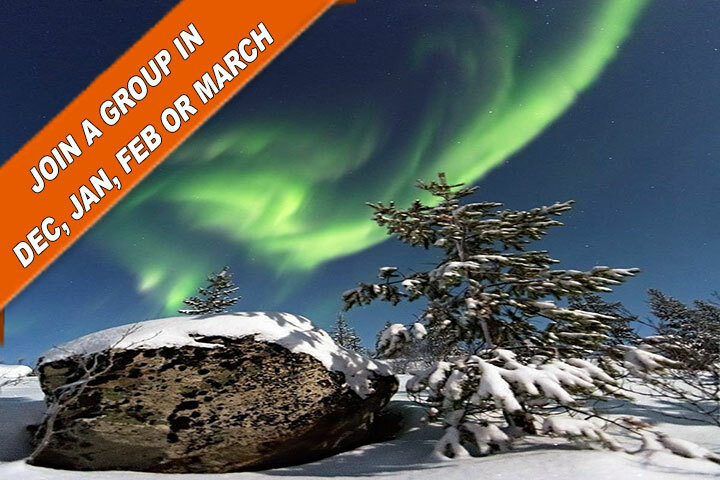 For this program we reserved the places on beforehand, to guarantee you that you can visit these unique places because they are limited in amount of participants. Due to participation in a group you don't have to use expensive individual transfers, but a group transfer in a comfortable (mini)bus, which reduces the costs of the program. 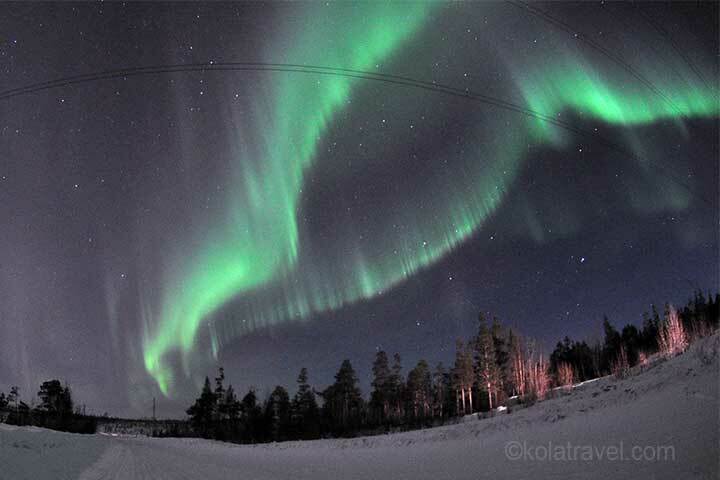 Treat yourself on a special Winter holiday, full of activities and Aurora Borealis. Reserve in time, places are limited. Arrival in Murmansk airport. Since this very moment you get chance to see Northern Lights. Look at the sky from time to time to catch it! Meeting and transfer to the Ogni Murmanska hotel, check-in. The hotel is located on a rock above the city and far away from the city lights. Behind the hotel there is an interactive park where you can have fun as well as the hotel has an Aqua park. You can have dinner in a restaurant of the hotel. If there is the good broadcasting for Northern Lights an English speaking guide with a mini bus comes to the hotel to collect you for “Aurora hunting”. Overnight in the hotel. Breakfast. At 08.00 transfer to Kirovsk city and check-in at a hotel upon arrival around 11 PM. Lunch on your own. After lunch take a taxi to the Snow Village. It is approx. 5 km from the hotel and costs approx. 200 rubles. 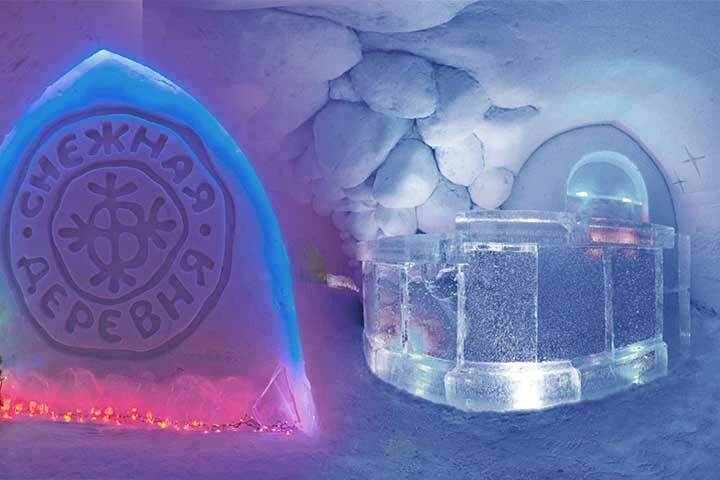 Snow village is a labyrinth made under the snow with beautiful wall carvings and with ice sculptures. You can have fun sledging down from a snow hill on “a pancake” or on “a banana” pulled by a snowmobile. At 14.00 a guided snowmobile safari starts. After changing clothes and short snowmobile introductions you drive to Khibiny mountains. The route goes via two valleys to the top point to see the mountains from a bird eye. From there back to the Snow village. When you like to go back to Kirovsk just ask the reception to call a taxi for you. Day 3: Excursion to Saami Settlement. Breakfast. You can hike in Kirovsk city surrounded by majestic Khibiny mountains to see its severe beauty. Or visit the Mineralogical and Mining Museum (in the "Big Ben" building, free entrance!). Check-out. At 11.30 transfer to Saami Settlement appeared in a place of traditional reindeer grazing areas. There are some traditional dwellings with floor covered by reindeer fur (Kuvaksa) standing at the place. 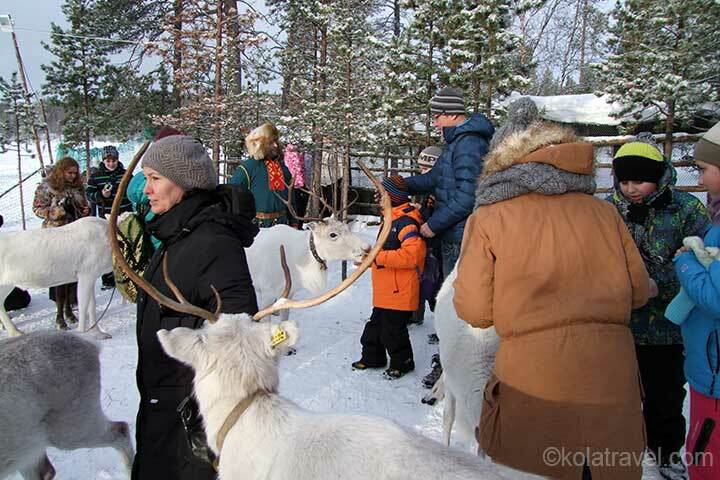 Several beautiful reindeers are always in the settlement and they like to be stroked and fed by moss and bread. Also there are foxes, polar foxes and rabits. It will be offered to play some Saami traditional games and try your hand at throwing a lasso. You will have traditional Saami Lunch: fish soup, reindeer meat, berry pie and herb tea. 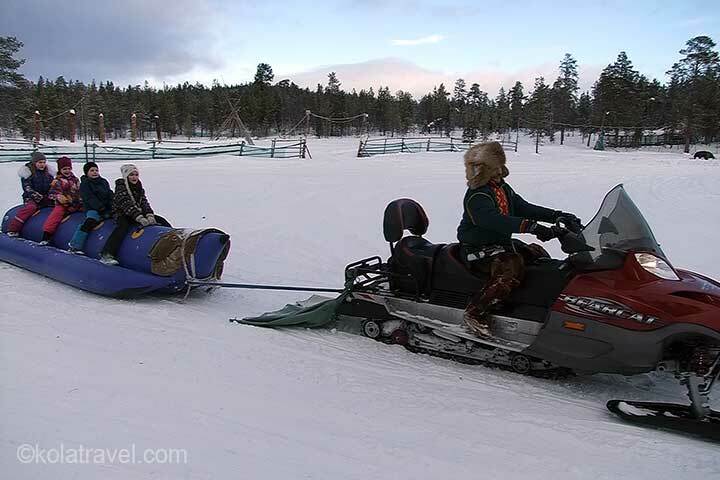 The Saami will offer us to sledge behind reindeers and behind a snowmobile sitting on a big “banana”. 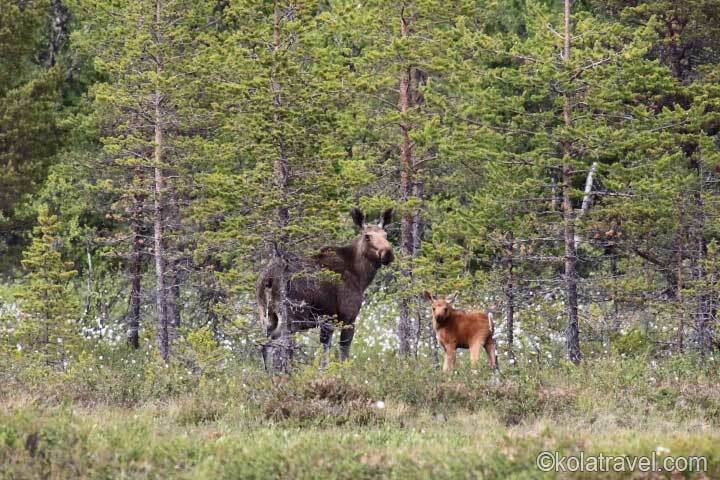 Those who like may put on Saami clothes and make photos with reindeers. It is possible to buy reindeer fur, items made of reindeer horns, stones and wood, special northern souvenirs. 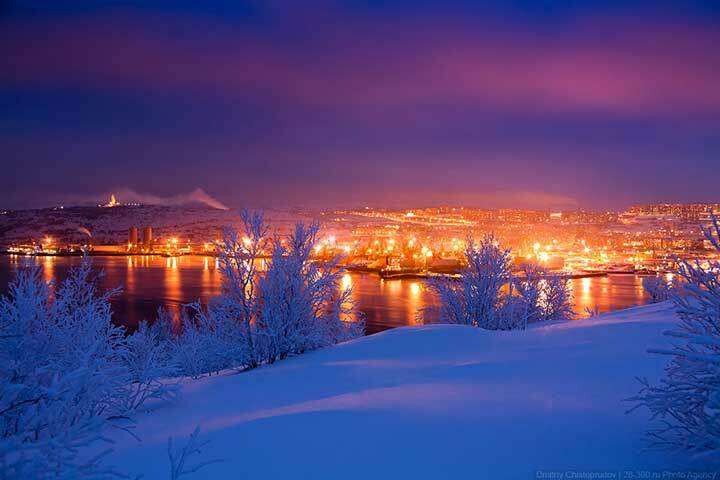 Then we proceed to Monchegorsk – the next city on Kola Peninsula. Check-in at hotel Laplandia upon arrival around 6-7 PM. Monchegorsk is a beautiful city in the middle of Kola. The park of the city has snow hills for sledging, a stadium with possibilities for skating on Weekends, or you can have fun in a Carting Center. Breakfast and check-out. At 09.00 a mini bus comes to bring you to the Siberian Husky farm. 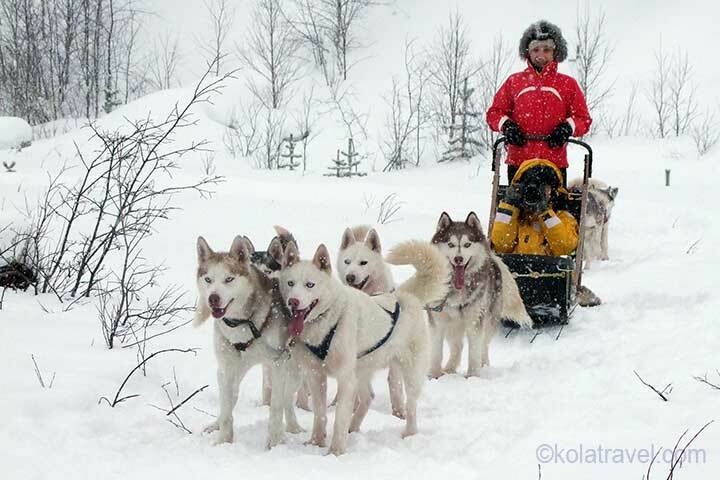 A local guide with sledge pulled by a snowmobile will pick you up to reach the Husky farm 3 km in the forest. You can communicate with the charming and sweet dogs and Northern reindeers. 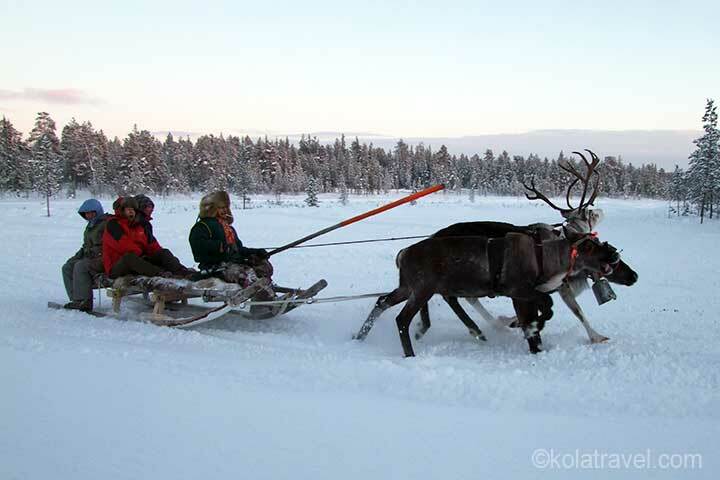 Sledging via the winter forest behind reindeers and Husky dogs will leave you unforgottanable impressions. Later you will have lunch in traditional dwelling named CHUM (like wigwam) and listen stories about Northern nature and local traditions. 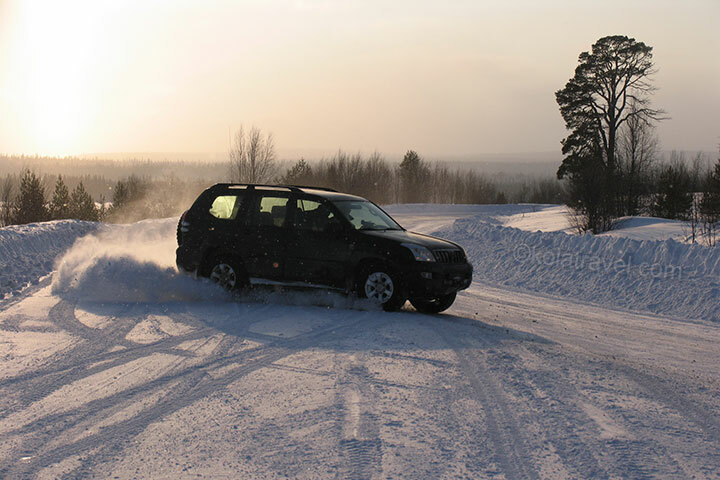 Around 13:00 you proceed to Murmansk city and check-in at the Azimut hotel upon arrival at 16:00. The hotel is located in the very center of the city. Dinner is recommended in the restaurant of the hotel. Dates: Guaranteed dates: 25-29.12.2018, 05-09.01.2019, 09-13.02.2019, 09-13.03.2019, 23-27.03.2019. Other dates on request. Price: Prices are depending on group size and rouble exchange rate. Please contact us for an up-to-date proposal. Entrance ticket: RUB 600 per adult and RUB 300 per kid from 7 to 14 y.o. Snow shoes rental cost: approx. RUB 500 per day. Watch Aurora with English speaking guide (5 days). 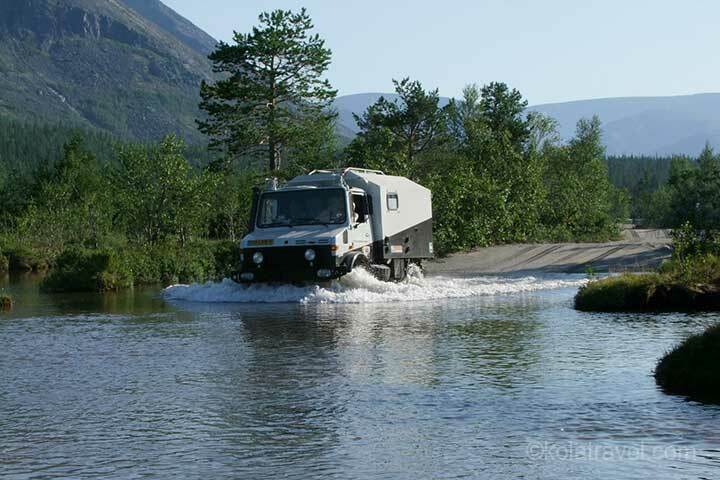 Includes Saami Setlement, Snow village, Husky farm and snowmobile safari. Join a group in Dec, Jan, Feb or March. Limited places, reserve in time!